I was supposed to have this review out last year but college took over… Life happens but here’s the review now. The story of Yomawari: Midnight Shadows has you in the role of Haru, a young girl searching for her friend Yui in the dead of night. While trying to find Yui, Haru will encounter ghosts, bosses, and the occasional cat. On her journey, she will meet Chaco, Yui’s dog, who will help her find Yui. 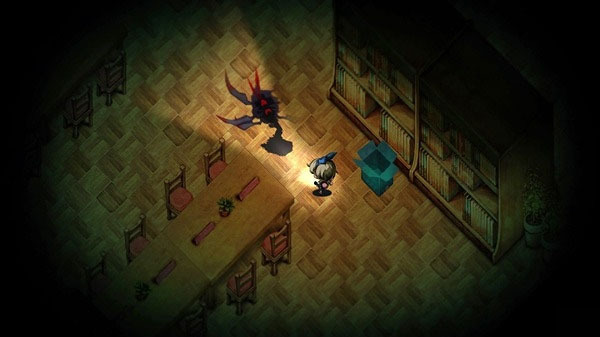 The gameplay is the same as Yomawari: Night Alone. Not much has changed between the two games except that Midnight Shadows has added a few more items. You still have rocks and coins but you lose some items and gain new ones such as paper airplanes, fireflies, and one time use garbage bags to hide in. I never understood the purpose of the paper airplanes but there is a trophy for throwing it 30 times… I would assume that it is supposed to distract ghosts like the rock. Same thing goes for the box of fireflies. I googled their purposes and they are ghost distractions that only work on certain ghosts. Charms are something new that was introduced in the game. Some charms can be collected after some chapters and others are found on the map. Each charms has a different function to them. For example, after chapter 2 you get the charm “Stuffed Doll’s Right Arm” which allows you to run a little longer. I ended up using it for the rest of the game. Other charms lets you hold more rocks or lets you run a little faster. One of the good changes that happened in this game is that the Jizo Statues are now hard saves instead of quick saves. This will put a lot of players at ease. Now no one will have to finish a chapter in one go without the worry of losing progress. Once again, ghosts are everywhere. I don’t think any ghost from Night Alone returns in Midnight Shadows. All the ghosts seem to be new to the game and each one has a new quirk about them. One ghost is a black puff ball wearing red gloves that will chase after you until you shine your flashlight on them. Think of the Boos from Super Mario World and you’ll get the picture. You can still hide in bushes, behind signs, and now the one time use garbage bag but be careful, you can only carry one. Once hiding, you can feel your controller pulsate (if you are playing on PS4 with the vibration on) and can see on screen the red ball that indicates the ghost coming nearer or moving further away from you. And when it’s gone, you’re safe to venture out. Tippytoeing, stamina bar, and collectibles are still in the game. It seems that there are more collectibles in this game than the previous one but that could be just me. The one thing that irritated me the most about this game is the boss fights. Now I’m not saying that the idea of boss fights in this game is a bad thing but it is the way that it was executed. You get your first real taste of a boss fight in chapter 3 in the library. It was a new pace in the game since Night Alone mostly dealt with exploring and then running and hiding. Things took a hard turn in chapter 4. I wouldn’t call it a boss fight but an aggravating fight for survival. 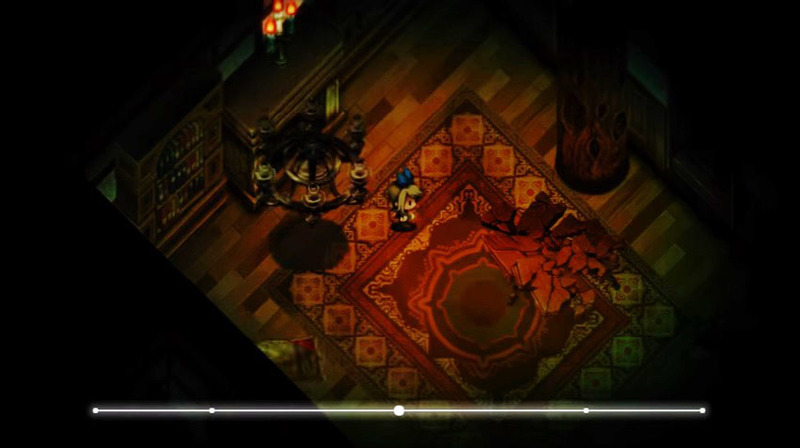 You are locked in a small room dodging chairs, a table, tapestry, a chandelier, and then fire. In a small room with the debris of items that were once chasing you which makes it hard to dodge the next item on the list. This theme continues on in the following chapters. Small spaces with very tight dodging. It is not fun in the slightest. It’s not fun to die constantly. 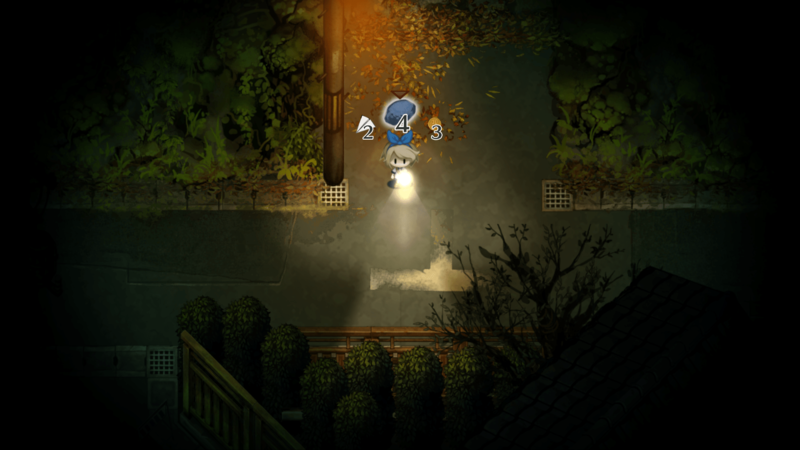 Yomawari: Midnight Shadows is a horror game that is sure to give some spooks this upcoming Halloween. I can recommend this title with the exception that you might get frustrated with the boss fights but it is still an okay game. Who thought small room boss fights were a good idea? Who?! Yomawari: Midnight Shadows is available on PS Vita, Playstation 4, and Steam. I would like to thank NIS America for providing us with a copy of the game for reviewing purposes.